An Orangetheory fitness studio is coming to the Barcroft Plaza shopping center. Orangetheory offers one-hour workout sessions led by a coach in a group setting. Members wear monitors that track their heart rate and performance metrics, with the results projected on a screen. The goal is to get into the “orange zone” for at least 12 minutes for maximum fat burning. 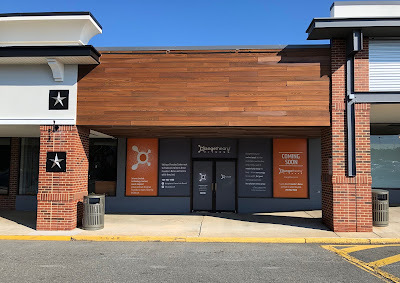 The Barcroft Plaza Orangetheory is next to Glory Days at 6341 Columbia Pike. Construction is expected to be completed in nine to 10 weeks, says franchise owner Jim Hannesschlager. Memberships are already on sale, with new members eligible for discounts, a free week, and a chance to win a $5,000 sweepstakes. A sales office is open near the Starbucks in Barcroft Plaza. The public is invited to a kickoff party Oct. 20, 9 a.m.-2 p.m., in front of the studio. There will be fitness challenges and a last chance to buy membership discounts. Orangetheory will provide water and snacks after the Taste of Annandale 5K Race. The race starts at 9:30 a.m. at the Kmart parking lot on John Marr Drive. Register for the 5K here. Learn more about the Taste of Annandale here. There are about 1,000 Orangetheory locations in 45 states and 21 countries. 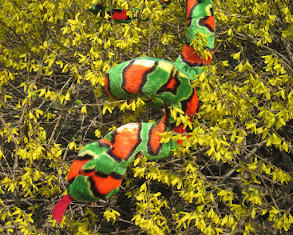 There are four in Arlington, three in Fairfax, and one each in Dunn Loring, Falls Church, Kingstowne, McLean, Vienna, and Tysons. Hannesschlager has been part of groups that owned five Orangetheory studios; this is his first solo venture as a franchise owner. He encourages people to sign up as soon as possible to take advantage of the discounts. New members who sign up during the opening period will get $30 off an unlimited membership (the regular price is $179) and $20 off an eight-sessions-a-month membership. Four sessions a month are also available. New members will also receive a free heart rate monitor for a limited time. There are two types, priced at $69 or $99. This is great progress. All these new stores and restaurants, and no DMV or a social palace..........thank God!